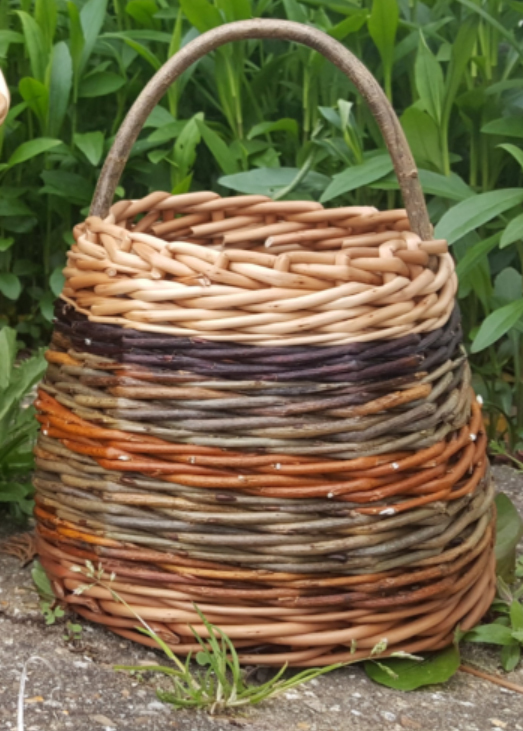 These pretty and useful baskets can be made in a course taught by Claire Revera at Perennial Garden and Cafe on Thursday August 23rd. She will provide the materials and teach you the skills needed step by step to complete a basket in a day. The day starts at 10am (coffee from 9.45am) to 4.30pm and teas, coffees and a light lunch will be included. Depending on the weather the course will be held in our pretty “Mock Orangery” or the open garden.